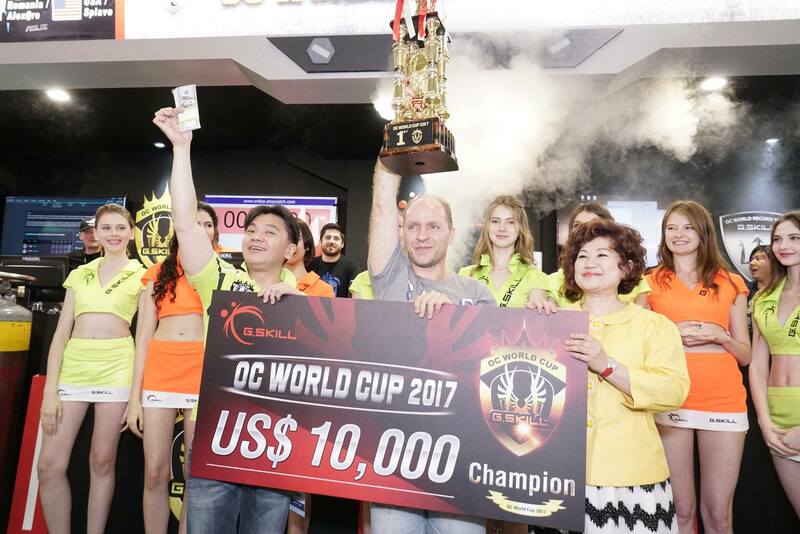 Annual OC World Cup 2017 tournament was organized by the memory manufacturer G.Skill at the Computex 2017 exhibition. 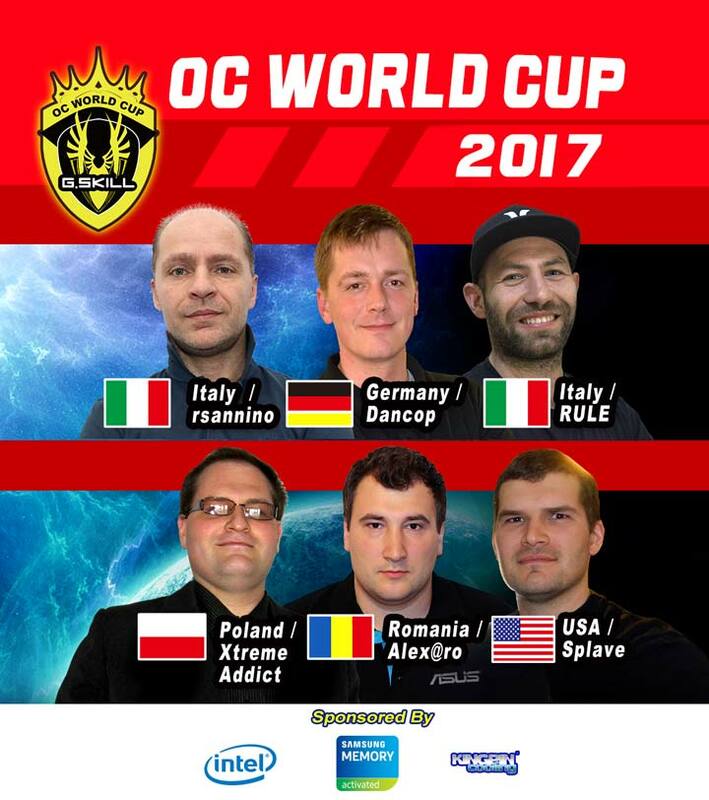 The winner of the fourth OC World Cup was the Italian Roberto Sannino «rsannino», who won the first prize of $ 10 thousand. 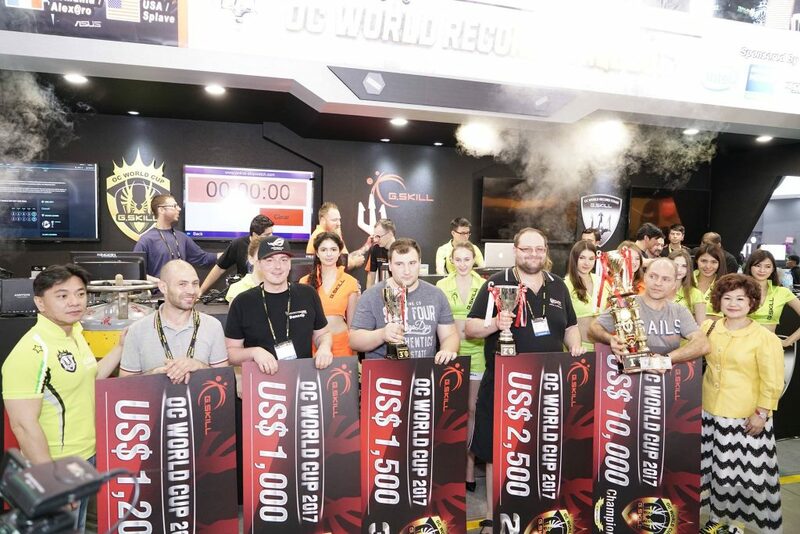 The G.SKILL OC World Record Stage event has reached its 6th year in the running and has become one of the biggest annual overclocking events in the community. This year, 18 world-class professional overclockers will be attending and aim to break as many benchmark records as possible, showing off the astounding performance of the latest hardware from Intel, leading motherboard vendors, and G.SKILL. In the past few days, six OC Gurus from around the world showed their skills in 3DMark11 Physics, Cinebench R15, Geekbench3 Multi Core and DDR4 Frequency (maximum memory speed). In the final rsannino immediately made its mark in three of the four stages of the competition. The DRR4 dual channel memory with fixed CL11 timings he achieved 2142 MHz frequency, while the Xtreme Addict able to overclock the RAM to 2061 MHz only. According to the results of the second phase, when enthusiasts needed to score the most points in Geeekbench3 Multi Core, with a score of 28424 points Polish Overclocker won that round. And in the last two stages, including 3DMark11 Physics and Cinebench R15 rsannino scored better points to capture the victory. A huge number of photos of OC World Cup 2017 are available on the official Facebook page of G.Skill.